Eleven Experience is set to open a new Bahamas property in November 2014, The Bahamas House Inn on Harbour Island, Bahamas. The property will have traditional Bahamian decor, individual cottages and a small inn, as well as guides for water activites that include bone fishing, deep sea fishing, paddle boarding, kite surfing, diving and snorkeling. Guests will also have access to a private boat dock and amenities such as a saltwater lap pool and spa. The experiential travel brand is set to open six properties by the spring of 2015. The company opened its flagship property, Scarp Ridge Lodge, in November 2011 in the historic mountain town of Crested Butte, Colorado. Once a 19th century mason’s lodge and dance hall, it’s now a seven-bedroom private lodge serving as the base for abundant adventures such as private cat skiing experiences over 1,000 acres of untouched powder, fly fishing the Taylor River, and world-class mountain biking. In November 2013, Eleven Experience will expand Scarp Ridge Lodge with the opening of Sopris. With three en-suite rooms with additional room with two full beds and trundle beds, the property also offers a copper hot tub, sauna, and full chef’s kitchen, and can be rented either together with Scarp Ridge Lodge, or separately. All-inclusive rates start at $1,350 per person and include breakfast and lunch, prepared by a private chef, selection of guided adventures such as private cat-skiing, fly fishing, and mountain biking, and additional amenities and activities. 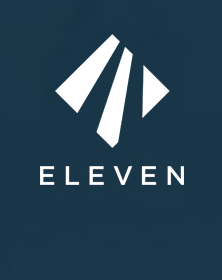 On June 15, 2014, Eleven Experience will open Taylor River Lodge on Colorado’s Taylor River, near Crested Butte. The Rocky Mountain retreat will offer six cabins sleeping two to four guests, as well as two larger homes, one with two bedrooms, and one with three. Meals and refreshments will be enjoyed in the main lodge, which also will have a media room, outdoor dining facilities and a custom-built treehouse. The property also has a Stone Bath Housee with an indoor saltwater pool overlooking the river, steam room, sauna and hot tub, as well as spa facilities. Open seasonally, May through winter, the property will offer guided adventures including fly fishing, river rafting, mountain biking, hiking, rock climbing and hunting. The property is all-inclusive, with the exception of spa services. Fall 2014 will see the opening of an Eleven property on Shelter Island, New York. Guests of the waterfront property will enjoy guided watersport adventures, including surfing, fishing, and sailing, and land excursions such as hiking and bird watching. The property will have five en-suite rooms and a bunk room. Fall 2014 will also mark the opening of the first Eleven Experience Urban Retreat. In centralAmsterdam, the property will have five en-suite rooms, a bunk room and amenities that include a private canal barge. During their stay, guests will enjoy exclusive access to the vibrant tradition of art, architecture, music, history, and nightlife that Amsterdam offers, from cooking classes with leading chefs to architectural tours by way of bicycle. Finally, in April 2015, Deplar Farm in northern Iceland will join the portfolio. Currently being transformed into a luxury lodge, Deplar Farm is set in a remote valley surrounded by 3,000 ft. peaks and offers heli-skiing, Atlantic salmon, brown trout, and Arctic char fishing, sea kayaking, mountain biking, and white water rafting. The expansive lodge sleeps close to guests and features amenities including a saltwater pool, spa facilities, sauna, steam room, and hot tub. A soft opening is slated for summer 2014. This is an excerpt from Travel Agent Central as it appeared on October 1, 2013. For updates or to read the current version of this post in its entirety, please click here.